UEFA has published its fifth Football and Social Responsibility (FSR) report, closing the loop on a cycle of five reports, spanning seasons 2012/13 to 2016/17. The 2016/17 report includes a look back at the main achievements of UEFA’s FSR Partners over the past five seasons across the European football governing body’s eight strategic issues. 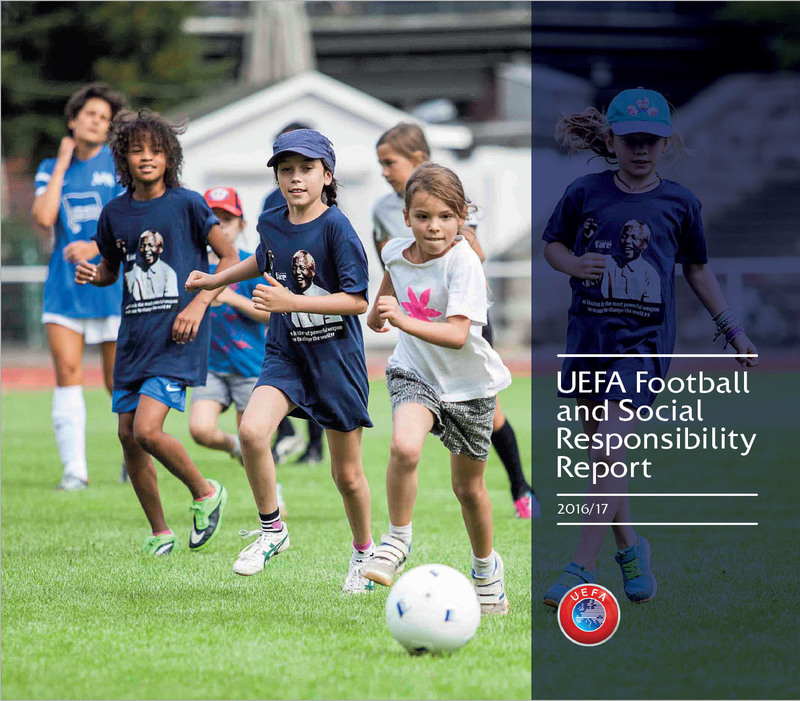 Consistent with previous reports, it also provides readers with an insight into the systems approach to social responsibility at UEFA, detailing the work of several internal UEFA units. To coincide with the launch UEFA’s new FSR funding allocation for its member associations last season, this report outlines each of the FSR projects that benefited during the season. No less than 54 member associations ran 70 projects thanks to this new UEFA HatTrick IV initiative. Finally, the report uses the Global Reporting Initiative’s GRI G4 framework as a guide to ensure consistency with international sustainability reporting standards. Schwery Consulting proudly coordinates and edits these reports each season, which demonstrate UEFA’s commitment to sustainable development, to demonstrating impacts, and to ensuring continual learning and accountability.